Well. Here you go. 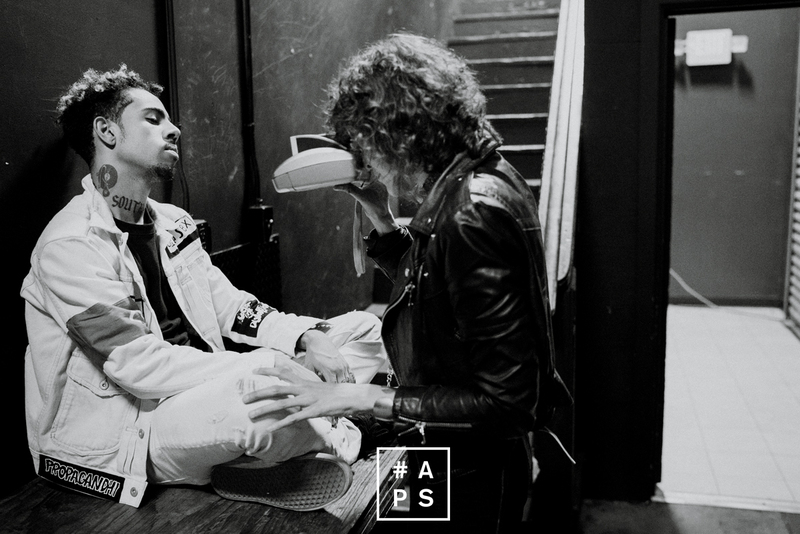 Another VIC MENSA for you. If you are still not familiar with the SouthSide Chi-town native portrayed here above, please catch up on my two previous stories about Vic here and here. Now. Let’s go straight to the story behind the Polaroid. 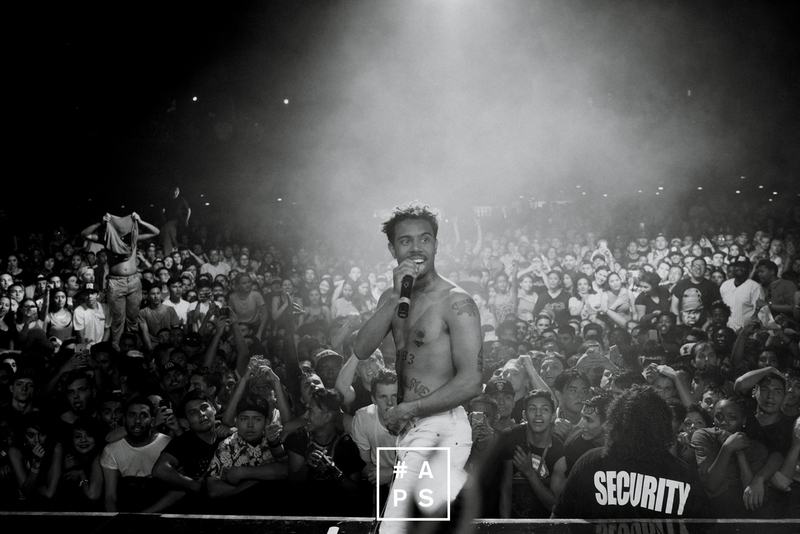 I took this shot from Vic a few months ago in Santa Ana, Orange County, only a few hours after Mensa’s sold out show at the Observatory which was part of his summer Traffic Tour. I was in town for about 72 hours to meet a few artists and portray them (something you can catch up on here and here btw) Vic was my last stop in LA before I was about to head home the next morning. It was a serious drive from Korea town where we started our trip to Santa Ana, but hey, nothing a good driver (shout out to Aicha) and a good soundtrack can’t fix. I was excited to see Vic again and very curious to see his performance. When I arrived at the venue, Vic was still asleep and I was welcomed by his manager Daniel who led me to this backstage area which had a tinted window view over the stage where Vic was about to perform any time now. Cody (Vic’s close friend and tour manager) was rolling the usual blunt, in the sofa nearby was producer and close friend of Vic, Michael UzOwuru . 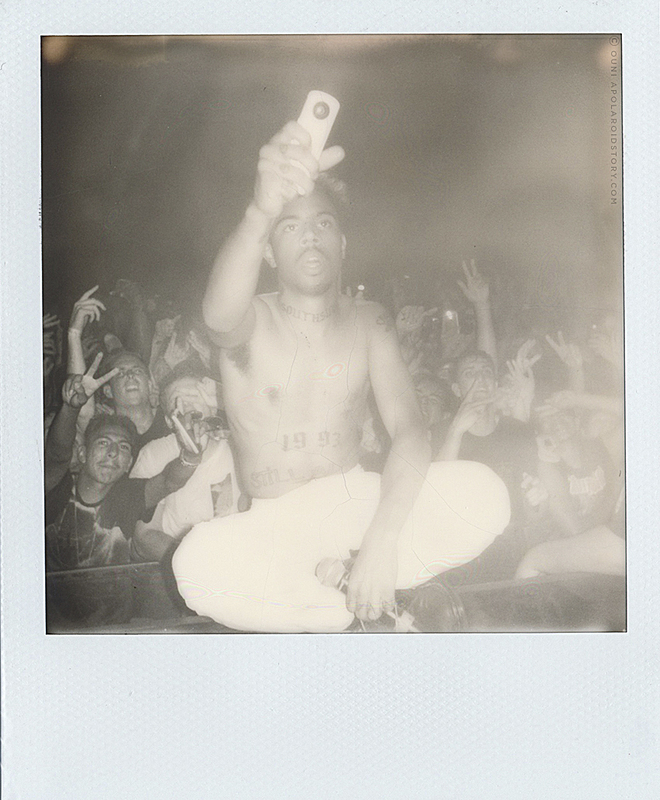 Everybody was clearly very excited, because after extended touring through Europe, mostly opening up for other people and his well received Innanetape, Vic now arrived to the point in his career where he is an officially signed artist to Roc Nation with two Kanye West featured singles out , more specifically ‘U Mad’ and ‘Wolves’. It really was a ‘friends and family’ kind of vibe in the backstage, so I decided not to force my presence too much but rather stay a bit low key and be an observer more than anything else. When it was time for Vic’s performance, the entire area around the stage was simply packed with friends, family and a dozen photographers. 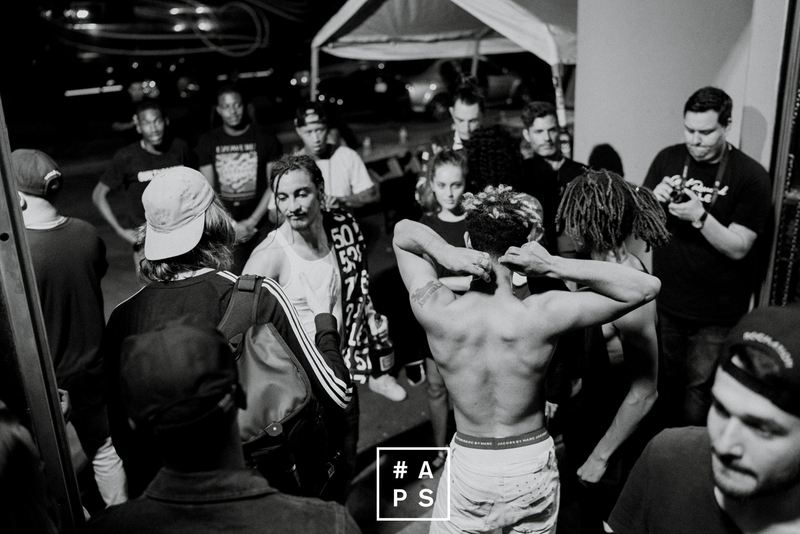 OG Maco was there to give a surprise performance, Jaden Smith jumped on stage together with Ian Connor. I mean the VIP was packed with at least 40 people. A huge difference from when I met Vic in Brussels and Amsterdam, where it was just him and his crew. The crowd was wild and the venue absolutely exploded once Vic dropped ‘U Mad’. His entire entourage together with a dozen photographers bum-rushed the stage so I got over myself, forced me on that stage and managed to take some shots. After his performance, I kept to myself, Ouni wall flower style, hung out a bit with Daniel and catched up with Smoko (co- producer of the ‘U Mad’ track with Kanye on the feature) and just laid low. When the atmosphere finally turned a bit more chill, Vic took some time out for me to take a new Polaroid. I mean, we hàd to, considering the enormous neck tattoos he’d gotten in the meantime. I wrote about Vic way before his major label breakthrough and I thìnk I genuinely have a good connection on a human level with him. Last time I saw Vic in Amsterdam, he trusted me with the news he was signed to Roc Nation, something that would only be publicly announced almost a year later. 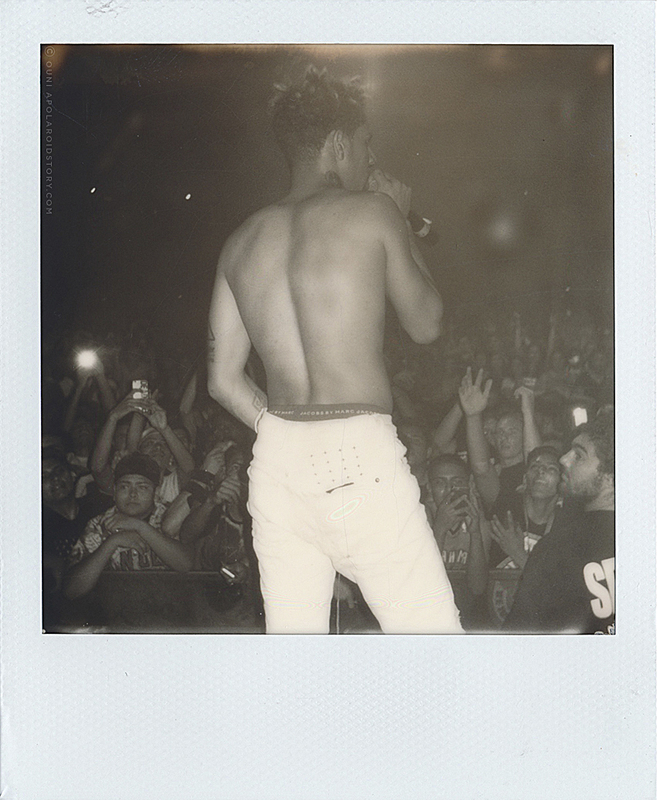 Although Vic is currently in a phase of his career where he as an artist is obviously challenged by many industry distractions, traps and illusions, watching him during that evening while he was juggling the crowd, fans, friends and a shitload of VIP guests, I witnessed he’s really doing his best to stay grounded in the process. It’s pretty amazing to watch the rise of an artist and seeing them go next level. Vic Mensa is currently finishing his first debut under Roc Nation called TRAFFIC and with two Kanye West featuring singles out the anticipation for his debut album is evidently very high. Vic has a very modern and versatile approach to hip hop as a genre, where he manages to make strong records whether they sound electronical, acoustic, rock or strictly hiphop. Vocally, Vic is not afraid to experiment with his voice nor flow, whether he is rapping, singing or even crooning. With the non stop police injustice climate that is currently haunting the US, Vic has gotten some press because of his public disapproval and protests against the justice system and the extreme violence that is terrorising his Chicago hometown. 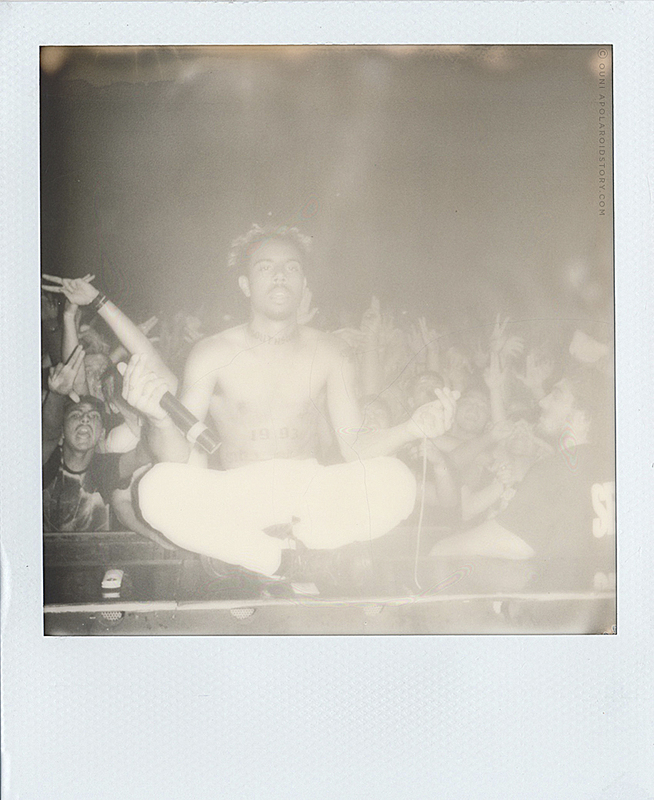 Watching him perform that night in Santa-Ana, I felt a very 9o’s punk rock vibe in his live performance. I’m very curious how all his different influences – whether they are from a musical, industry or human perspective – will translate in his debut album. 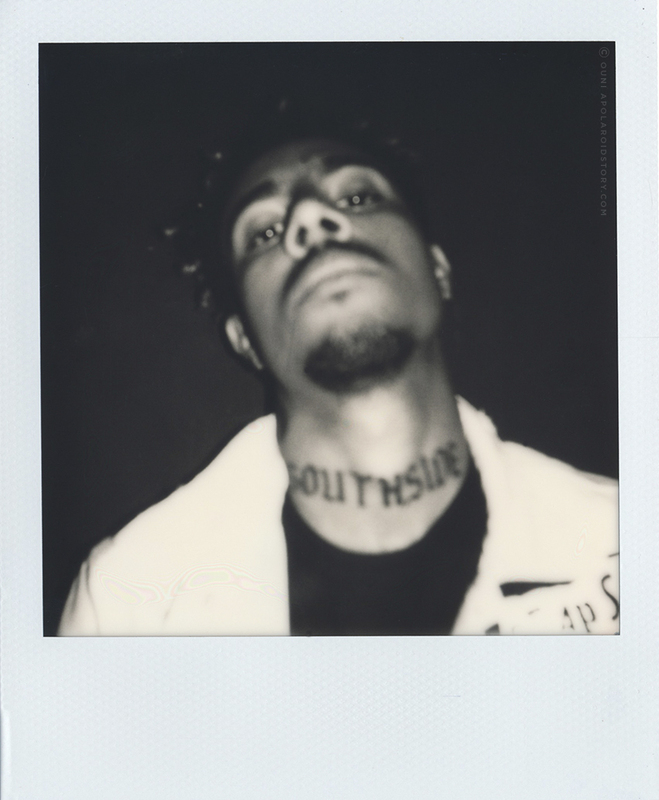 The sky really is the limit at this point for Vic Mensa so let’s wait and see how far he takes it in 2016. I leave you with the Polaroid shots we took that evening. Note: shoutout to Candeesha for the contributions to this story and Daniel W.